In Episode 4 of Road to Race, it's time to get serious. Lotus owner track day! Catch the full series at the links below: Episode 1: Alborz lays out the Targa dream Episode 2: Why did we choose a Lotus Elise? Episode 3: Time to hit the track Episode 4: Lotus owner track day Episode 5: Prep and plan Episode 6: Targa time, at last! 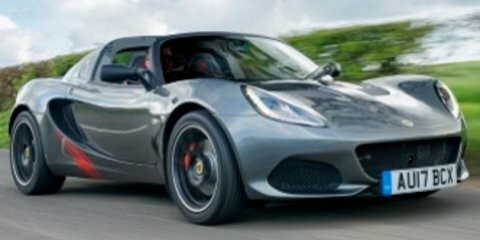 Road to Race, Episode 2: Why did we choose a Lotus Elise? Alborz and Adam talk about the advantages and virtues of our new Lotus Elise Sport 220, and why it's the perfect car for Targa Tasmania. But first, some track days! Catch the full series at the links below: Episode 1: Alborz lays out the Targa dream Episode 2: Why did we choose a Lotus Elise? Episode 3: Time to hit the track Episode 4: Lotus owner track day Episode 5: Prep and plan Episode 6: Targa time, at last!